An amazing story, but a bad movie. 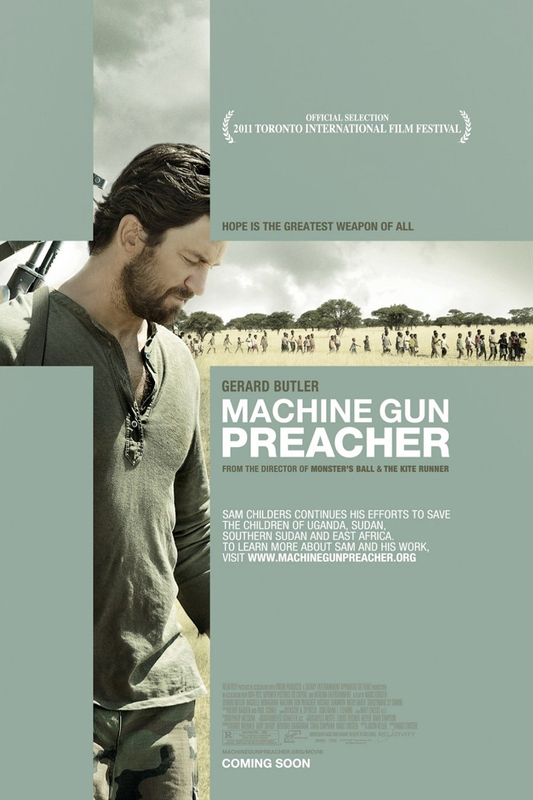 The story of Sam Childers (Gerard Butler) is a truly inspirational one but the way it is portrayed on screen is awful. The first half of the movie is really good, it shows how Sam Childers transformers from a lowlife to a respectable person in society, and after that goes to Sudan to help the orphans, if you ask me they should have stopped the movie after that. In the second have the throw in all this unwanted stuff and it gets boring, really boring and irritating. I mean what more do you need? You have a great story a good cast but still they manage to mess it up. Gerard Butler does a good job in portraying Sam Childers and Michelle Monaghan does a good job too but unfortunately for them, their hard work will go unnoticed. I guess the most unfortunate person is Sam Childers. The movie is about how Sam Childers transforms from a selfish man to a good person, eventually he movies to Sudan to defend the Sudanese orphans from the Lord's Resistance Army (LRA) something a normal person won’t do, guess that’s what makes his story amazing. In the end the movie deviates from this concept and the sad part is when you come out of the movie you won’t feel happy that at least someone is trying to make a difference, you’ll be going ‘thank God the movie is over!’. Read about Sam Childers story or just watch the first half of this movie.